Just as Bette Davis said, “Old age ain’t no place for sissies.” At 50, we all think that we will remain strong and active until we leave this planet, but the truth is, as we age, we have to face limiting health or mental situations that change our abilities and expectations. In spite of the challenges, if we renew our hope with fresh experiences and a flexible lifestyle, we can make our later years happy and fruitful—not simply bearable. A: With aging comes a certain amount of loss, and no matter how you stack your cards, age will always win the game. Aging with confidence is a choice, and it requires a change in how you find satisfaction. We have all grown accustomed to feeling valued through parenting, a professional career, or our youthful looks, all of which are disappearing. But that does not mean we are obsolete. We have a gold mine of experience, history, and wisdom! Our value and usefulness have switched seats, so it is time to ride along. To feel fulfilled, think about leaving a legacy and lifelong learning. Who can you invest your experience and talents in? What new skill have you always wanted to learn? Teach, learn, and invest your energy in these things and you will find a renewed sense of value and happiness as well as meet new friends along the way. That feeling of being obsolete will be left in the dust! A: Change what you can and surrender with hope to what cannot be changed. 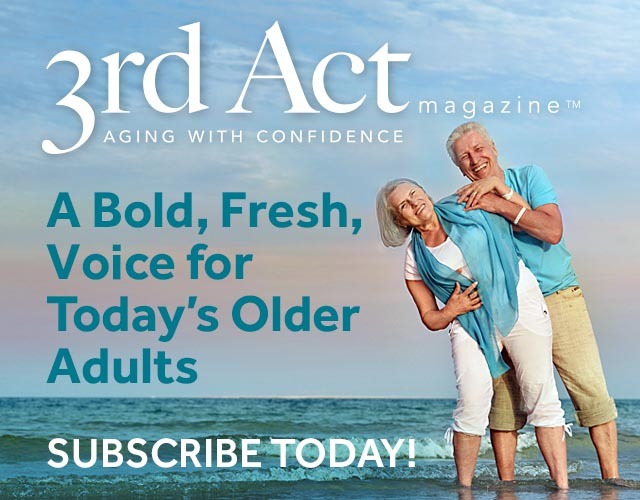 The Serenity Prayer says, “Help me accept the things I cannot change, the courage to change the things I can, and the wisdom to know the difference.” Growing older has its challenges and most are rooted in the failings of our body parts. Hope depends on taking initiative. Not long ago, my mother gave up driving because of macular degeneration and poor reaction time. It was a huge lifestyle change that required us all to find other ways for her to stay involved in quilting, church, and volunteering. When life is unfair and you just want to mope, don’t give up trying or surrender your hope. Join classes or activities that are within your capacity, use public transportation options for the disabled, allow friends and family members to help you, and find new ways to stay engaged. As you take initiative, your hope will be renewed. Kellie Moeller has worked in the senior housing industry in the Northwest for more than a decade. With an insider’s view and a passion for serving seniors, she gives a fresh perspective on aging. Email your questions to TimetoTalk@3rdActMagazine.com or mail your questions to Time to Talk, 3rd Act Magazine, 81 Canal Lane, Brinnon, WA 98320.